Where are we to go for Exchange Game? The merging of Betfair and Paddy Power both gaming and betting giants has brought a critical discussion on where the fate of the betting exchange business is heading to. Different analysts have been tasked with trying to explain the possibility source of the opportunity. Patrick Coffey of Barclays claims that each firm will be entitled to its function such that Paddy Power will engage in recreating its clients while Betfair on the other hand would be entitled with the sophisticating clients. Ian Noctor, the Growth Director at Matchbook claims that it a huge step for them. 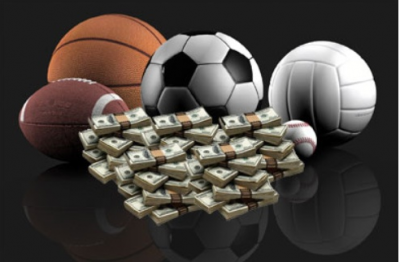 This amalgamation will not be solely relying on the exchange but rather indulge more on sportsbook and hence it gives them a wide space to offer a unique thing for the existing exchange clients. Jason Trost the Founder and CEO of Smarkets an exchange firm claimed that Betfair has forgotten its initial duty in exchange market and shifted its focus to sportsbook. This comes as it has been evident that they have spent very little on sportsbook in terms of adverts and improvement. While at a glance, it can be seen that they have put aside exchange to indulge in sportsbook. He continues to argue that liquidity is only achieved when people work hand in hand with market makers as they usually have no idea about the most crucial aspect which is accompanied by sports betting and that’s fungibility which means that one bet can be equal on two different sides. And for this matter, the liquidity providers are guaranteed the freedom of shifting from one site to another and in our case from Betdad and Betfair to Smarkets. Other analyst such as David Jennings, analyst at Davy Stockborkers in Dublin also argue that this merging will award other rival exchange companies with an opportunity to exploit the free market since Betfair will have abandoned its initial task in the exchange market. This integration can play a bigger role in the reduction of the growth and development of products that has been essential for long. Noctor claims that his company has provided enough liquidity in the market and its now engaging in giving more to those clients who want something beyond average sportsbook experience. He adds that there is a bright future for the exchanges which existed even before the initiation of Betfair.